Our aquatic environment includes a large six-lane indoor pool, complete with easily accessible stairs. Also featured is our climate-controlled Sauna and our warm, relaxing Spa with hydro jets. A trip outside leads you to the Children's Activity Pool with a Frog Water Slide, a fountain and five bubbly Geysers. 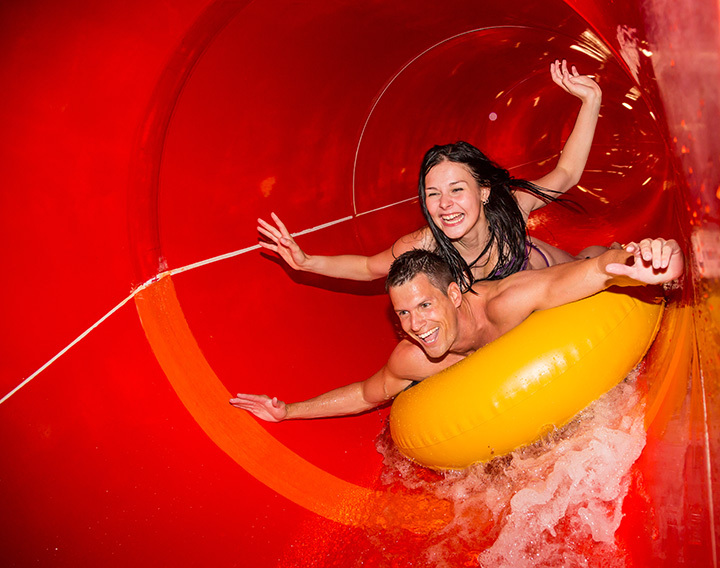 Walk across our spacious sun deck to experience our two 150-foot Water Slides . The slides plunge into a roomy pool that waterfalls into our beach area which slopes down to our swimming area and diving boards. Take a break from the water and enjoy our 18 hole miniature golf course. We are handicap accessible and there are always Certified Life Guards on duty.